Amy Ellis is the Head of Integrations and Partnerships at Mail Chimp in Atlanta, GA, but here are the important things you need to know: Ms. Ellis is a fierce jammer for the Atlanta Rollergirls Allstar Team; Amy will run over you in a car to save an animal; and she drinks a double scotch on the rocks, thank you. Her professional background stems from marketing and public relations for nonprofit organizations and she takes her job at Mail Chimp so seriously that she only eats bananas. In my interview with Amy Ellis we discuss email micro-conversion interaction points, email length & content type and some tips for getting started. You’ve worked hard to build an email list of targeted prospects and it’s time to try and convert them into real customers. Oli: The send button is pretty final and unforgiving. Are there some fundamental rules should you follow when you first start sending email campaigns to your list? Amy: For someone who is just getting started with email marketing, I like to recommend that they take a few moments to jot out an email marketing plan. We have a free guide on our site that helps walk someone through this process if they are unfamiliar with it. I find that it is helpful to go through the thought processes of outlining a schedule for emails, defining your readers/subscribers, defining the kind of content you’ll be sending, setting some goals etc. Amy: I think the length of an email depends on the content you’re sending and you’re audience. In the specific scenario above where you are hoping to drive a conversion – to get the subscriber to click on a call to action – in most cases there is probably no need to confuse the reader with a lot of rambling or unrelated content. You would want to include content that explains the offer (or whatever the desired outcome is related to) and why the reader would care. Then drive them to a landing page where they can get more information if they choose, and also where it is very clear how and were to complete the desired action. This is an example of why landing pages are so helpful – if you have one specific action you are hoping your readers will take, you need to create a fluid and clear experience for them from clicking the email link to completing the desired action. Oli: What are the pros and cons of using HTML vs. plain text? Amy: I think the best option is to create both versions of an email and then in the subscription process allow the individual subscriber to choose which format they’d like to receive. This is a better option in terms of deliverability as well. (Side note: This is an advantage of using an email service provider, they can manage these preferences among your subscribers and make sure the correct version of your email is delivered to the right subscribers). Chances are spammers aren’t creating HTML and plain text versions of their email, so that makes your email look less like a spammer. You also want to make sure your HTML email isn’t just one big image. It can have images and lovely formatting and fonts and headers etc. but spam filters are looking at the ration of text to images that you’re sending in your HTML version and one big image looks spammy to them. Oli: Can you talk a little about what autoresponders are and how they work? Amy: Autoresponders are basically emails that you create ahead of time and then determine an action which will trigger the sending of that particular autoresponder. So for example, you might create a Welcome Email that is sent to someone 1 day after they subscribe to your list. Or you might create a series of autoresponders that are tips and tricks regarding a topic you are an expert on. Then you set that series to kick off 1 week after someone subscribes to your list. So each subscriber is getting a controlled series of content in a timely fashion that doesn’t require you to create the email each time etc. Oli: How can they be used over time to increase the likelihood of your list converting deeper into your sales & marketing funnel? Amy: Well, this is a topic I’m not extremely well-versed in, but if you are setting your autoresponders to trigger based on sales activity on your site or abandoned carts etc., you’re getting several additional chances to engage a previous or potential customer. Ideally those ‘reminders’ to the customer push them to an actual or an additional sale. There are two main points of conversion related interaction in an email. The subject line (which affects open rate) and the call to action, which persuades them to continue into your funnel (determining the click rate). Oli: Imagining that you only had the opportunity to send your customers a single email, what would be your top 5 ways to: (a) Increase your open rate (b) Increase your click rate? Amy: I think my suggestions are the same for both, you just have a little more room to talk in the body of your email rather than the subject line. Don’t try too hard – all caps words, lots of exclamation points, that just increases the likelihood that you’re email will go into the spam folder, it doesn’t make someone want to open it more. Be clear, concise and direct – what is the main point you’re communicating in your email? What is the clearest, most direct and journalistic way you could say that. By journalistic I mean, to the point and without adjectives. Why? Because everyone has a lot of email and when they’re deciding what to open or click on, they just want to know what you’re communicating and the more adjectives you include like “fantastic!” “super!” “amazing!” the longer it takes them to discern what you’re actually trying to say. Test – try A/B testing different subject lines and get some real data on what kinds of subject lines your subscribers react to. Do the same for your call to action. Test more – use tools like our Inbox Inspector or Delivery Doctor to make sure your email subject line or content isn’t triggering spam filters. Send your readers content they want to receive. If you provide them content and opportunities (via the call to action) that your subscribers really want, its a natural fit for them to open and click the call to action. If you’re sending them something they aren’t expecting or asking for, it will be a struggle to get them to open or click. 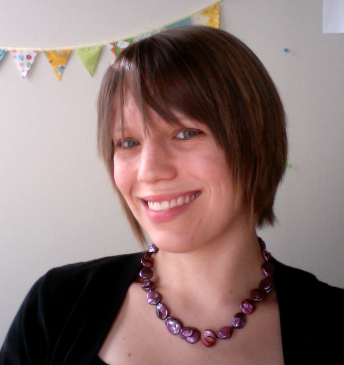 Thanks to Amy for being our latest Conversion Hero and sharing some email conversion expertise with our blog readers.